Eye tracking in VR reveals what is behind an individual's subconscious reactions and behaviors when interacting with objects and environments, all while leveraging the full control and flexibility of virtual worlds. Why combine eye tracking with VR? When working with eye tracking in VR, you are able to leverage the benefits of both technologies. 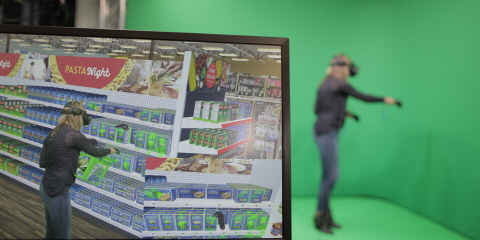 VR allows you to create any type of simulated environment, where visual stimuli and scenarios can be quickly switched or easily repeated, while eye tracking gives you insights into where the participant's visual attention is at each moment of the experience and what visual elements trigger certain responses and behaviors. Eye tracking can also enhance VR experiences. By enabling more natural interactions through gaze, eye tracking contributes to more immersive and user-friendly experiences in VR. To benefit from eye tracking technology in a virtual world, there are three components that need to be in place: VR content, an eye tracking-enabled VR headset, and analysis software. The first step in immersive VR research is creating a virtual world. VR environment design and functionality varies a lot depending on your project type and what you want to achieve. If you're planning a browsing study looking at visual strategies, it would be sufficient to create 360-degree content with your stimuli. 360-degree images and videos are relatively easy and inexpensive to create, yet still provide the sensation of being able to visually explore the situation. If you want to learn how users interact with your stimuli and navigate within your scenario, then 3D environments are more suitable. They allow more flexibility and control over the environment, which enables you to create any type of situation and alternatives. If you've already invested in Unity assets, our tools can be integrated into your existing environments. Here are 5 tips on how to create the best virtual reality environment for your research. If you need assistance with this, our Tobii Pro Insight team is available to help you evaluate your analysis goals and create virtual environments through their wide network of content creators. Eye tracking is the key to truly immersive research. To gain objective and reliable insight into human behavior, you need to use high quality eye tracking data in your analysis. 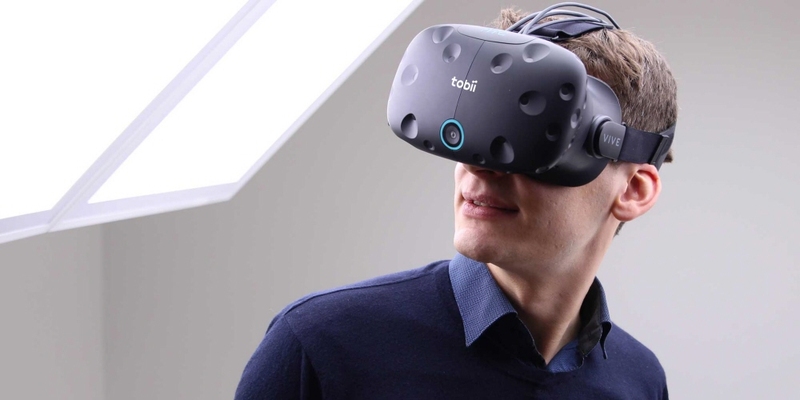 We've brought years of eye tracking knowledge into VR with Tobii Pro VR Integration - an eye tracking enabled HTC Vive headset which collects eye movement data at 120 Hertz. Seamlessly integrated and unobtrusive, this integration does not interfere with the VR experience or study. 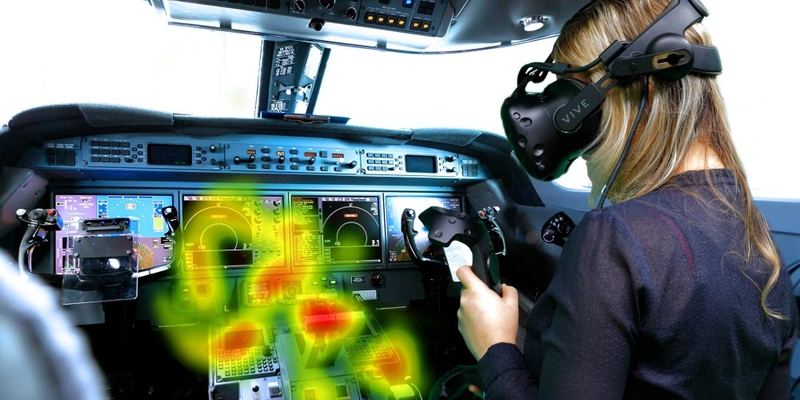 VR and eye tracking is a powerful combination which has greatly expanded the scope of research opportunities available; but to fully leverage its value it's crucial to properly analyze the data obtained. Depending on the type of stimuli you've selected, we provide two different analysis tools. 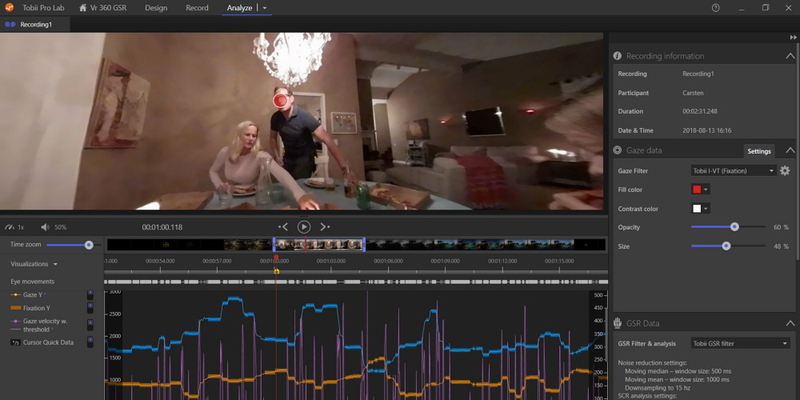 If you work with Unity assets then Tobii Pro VR Analytics is the platform to use for analysis. It provides instant access to an individual's attention and behavioral patterns while they're immersed in a VR environment. Outputs include eye tracking metrics, interaction measures, and automated visualizations which are easy to understand and customized for your project needs. For researchers and commercial users this facilitates an efficient workflow from beginning to end. Read our blog post on Why you can't afford to ignore VR analytics, for more details. 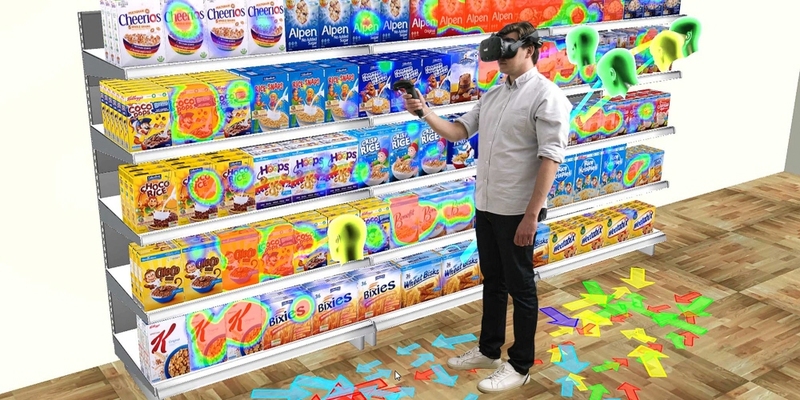 With eye tracking in VR, basically, every stage of the consumer journey can be tested in a more timely and cost-efficient manner compared to traditional physical study environments. Advertisers can now test their communication campaigns before they hit the market to make sure that the intended perception of their messages actually gets through to the shopper. In a virtual store, product packaging designs, product placements, and even store layouts can be easily evaluated and then further optimized. 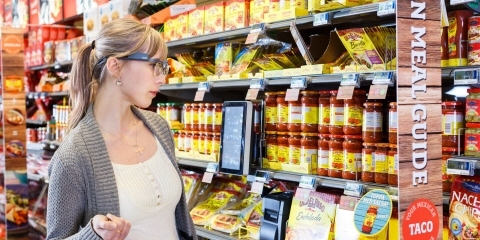 The instant eye tracking statistics and visualizations will show how consumer attention is distributed, how they interact with products, and how they navigate stores. 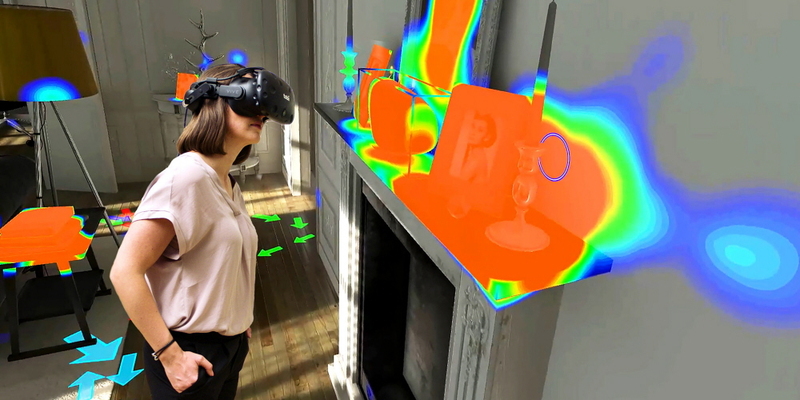 In virtual environments, existing products and designs, as well as new ones in the early development stages, can be tested without the need to build the actual expensive and time-consuming prototypes. Eye tracking will clearly reveal how people interact with products, navigate spaces, and perceive different design elements. Designers and engineers can now have people all over the world testing a new concept, design, or a product, while receiving immediate and actionable insights into any usability or experience issues. In complex work environments and safety-critical jobs, eye tracking in VR provides insight into how employees react under pressure and make operational decisions in simulated work scenarios or emergency situations. 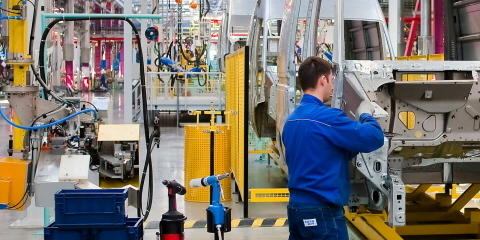 Using immersive VR in industrial settings, companies can train employees in realistic, challenging scenarios and test different processes, discovering immediately how their teams cope with the tasks and interact with their work environment. 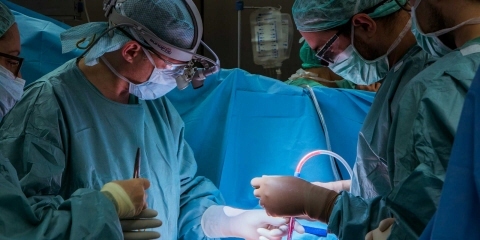 In safety-critical fields, like surgery or piloting aircraft, assessing and developing professional skills is easier, less dangerous, and more cost efficient by avoiding recreating these high-pressure scenarios in a real-world environment. One way to treat phobias or PTSD is by exposing the patient to an object or situation that they are afraid of. However, in many cases, this exposure can be quite dangerous, difficult to recreate, or impossible to control in the real world. With VR, it is possible to create any research environment while controlling the manner and timing that the participant is exposed to a specific visual stimulus. Eye tracking enables gaze-controlled scenarios and provides you with unbiased, immediate insight into how your visual stimuli trigger certain emotional responses. 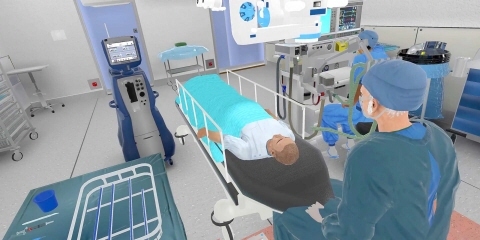 With this knowledge, related virtual scenarios can be created and easily repeated for more effective treatment protocols. If you are interested in VR for research applications, sign up below to get the latest news about our VR offering, interesting new applications, and innovative use cases from the immersive research field. Tobii is a key player for eye tracking in VR with the world's strongest eye tracking (IP) patent portfolio, extensive both screen-based and wearable eye tracking experience, and a technology that is widely considered to work for more people, in more conditions, with better accuracy and precision than any other eye tracker. 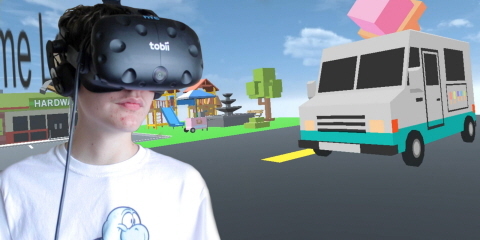 The Tobii Pro VR Integration is a retrofitted version of the HTC Vive head-mounted display (HMD). Completely and seamlessly integrated with the eye tracking cameras hidden behind the lenses, it captures eye tracking data at 120 Hz from a vast majority of the world’s population, without interfering with the normal VR user experience. Learn more about the Pro VR Integration. 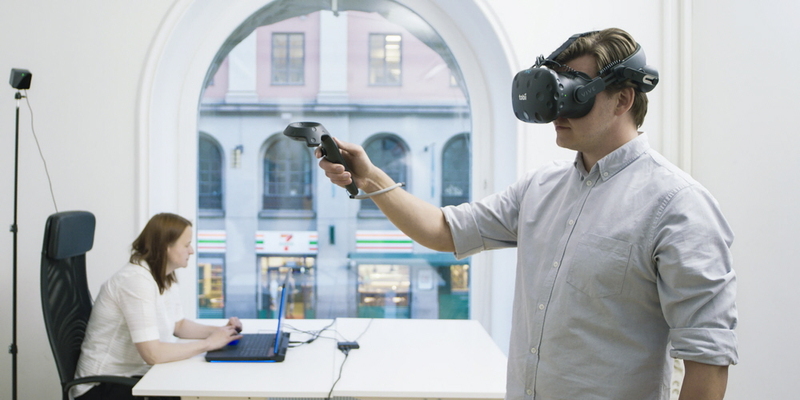 Tobii Pro Lab VR 360 is an edition of Tobii Pro Lab; a state-of-the-art software platform which enables eye tracking data collection from 360-degree videos and images. This edition supports the entire research workflow including study design, data collection, and analysis, while maintaining precise and consistent timing accuracy and data quality. 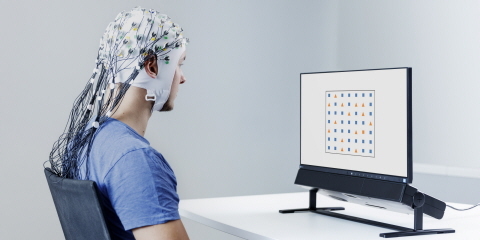 It's also possible to combine GSR sensors to analyze the emotional experiences attached to your study stimuli. 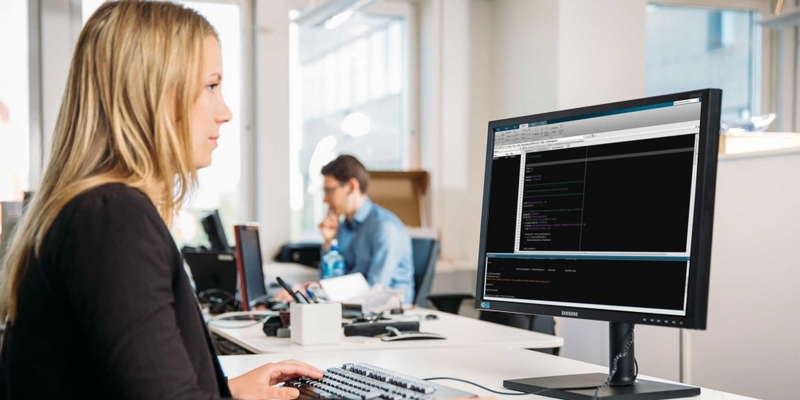 The Tobii Pro SDK is a free software development kit for analytical applications to work with eye tracking solutions from Tobii integrated into virtual reality. It offers multiple-platform functionality and support for several programming languages. Learn more about the Pro SDK. 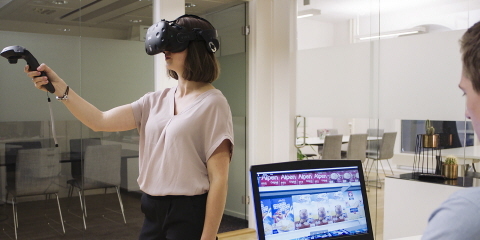 Our experienced Tobii Pro Insight team helps the world's top commercial brands better understand how their products and services can best engage with their audiences by running pre-production tests in virtual worlds in order to measure the effect of brand messaging. 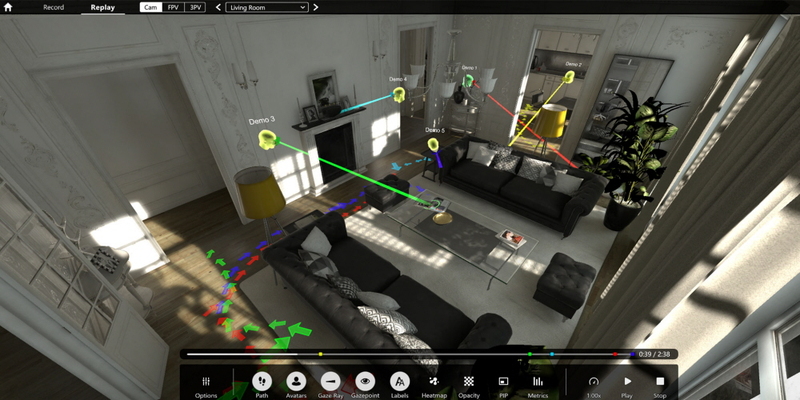 Apart from the full-service eye tracking research, Pro Insight also offers VR content creation in 3D worlds, 36o° images, and video through their extensive network of content partners. Depending on your needs, they will help you choose the appropriate tools and methods to perform your study. To make it easier to get started, Pro Insight can conduct your VR eye tracking study for you.